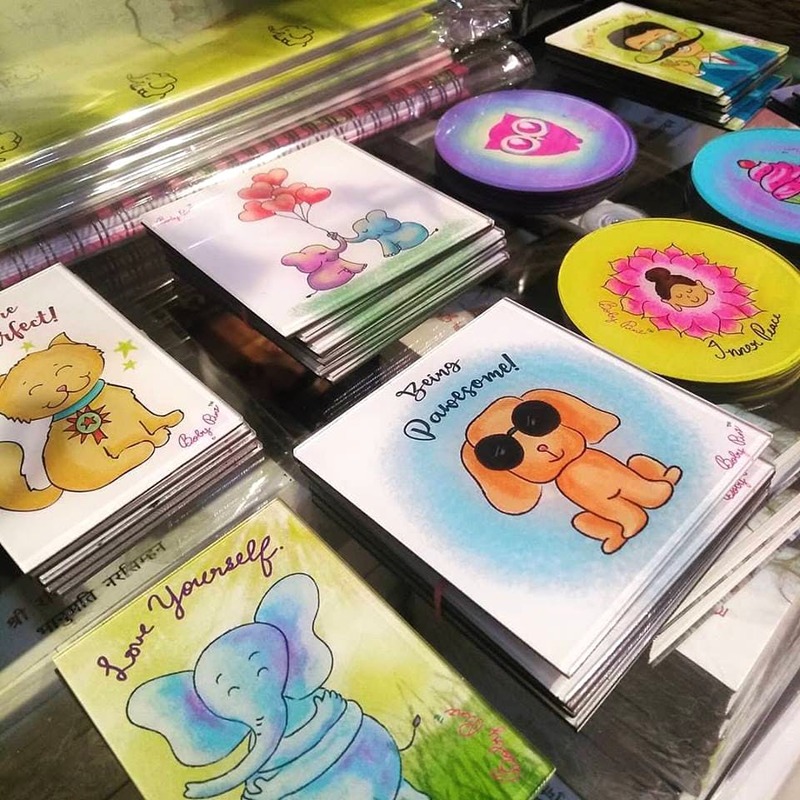 Pinz immortalises cute doodles on their merchandise whether you like baby animals, or are a coffee loving yogini, and the best part is you can make gift boxes with all the goodies. For youthful, fun and cute doodles on everyday items Boby Pinz by Namratha will have you tickled pink and going back for more. Relatable and mostly inspired by her own personal experiences, the illustrations and prints include cute animals, desserts, themed illustrations (around festivals) and everything else that’ll have you feeling some good vibes. The children’s book-esque illustrations and art prints make for great greeting cards, notebook covers and postcards, taking you right back to your childhood! Apart from those (which are mostly cute patterns and prints), there are coasters, keychains, mugs, wallets and bags. The bags come in a range of sizes from ones perfect for tiffin dabbas to huge beach worthy tote bags. Got a yogini friend? There’s a print for that. Someone into mindfulness and meditation? Check. Coffee or tea lover? They have it. Prices for the smaller trinkets (like keychains) start INR 90, notebooks at INR 200, and mugs at INR 300. Keeping all things art and craft friendly, commissions are also something you can get. By commissions we mean you can get a particular print on any of the merchandise, which is great for gifting if you ask us (we particularly love their queer friendly wedding illustration). The prices of this depend on the number of pieces and the amount of customisation done. Only way to order is to contact her is through social media.